Clematis Fascination is a superb perennial clematis that is perfect for scrambling through shrubs, over banks and tumbling down walls. It's also great trained through trellis and garden obelisks too for even more interest. The gently scented, nodding violet purple flowers not only look magnificent but are very unusual too. These are followed by decorative seed heads for a long lasting display. 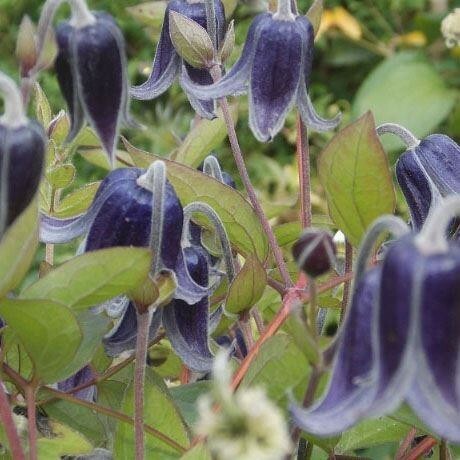 Clematis Fascination is particularly easy to maintain as it can be cut back to almost ground level each year if it starts to grow to large and get out of hand. Supplied in approx. 2-3 litre containers.